I used chart paper for the art journal. I applied stick old book pages then applied texture paste on paper. 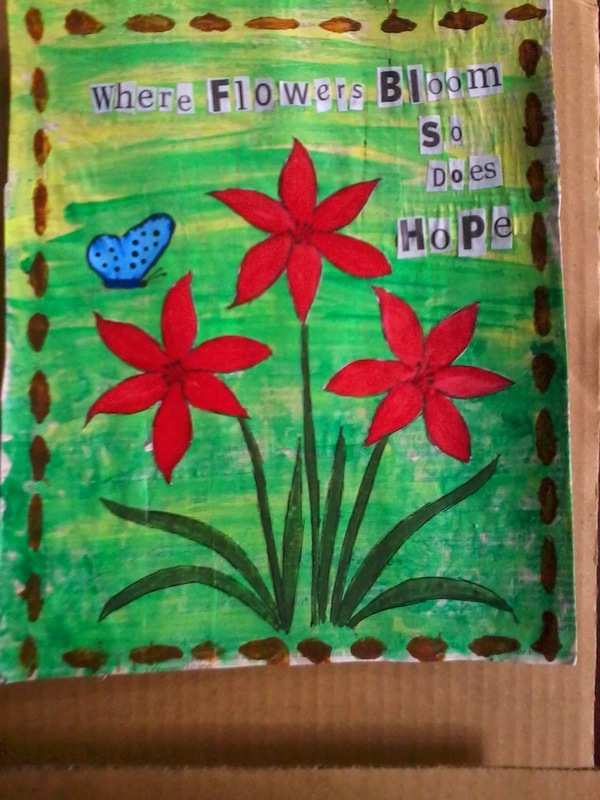 The flowers are drawn on chart paper and used acrylic paint then cut and paste flowers on art journal page.